The Average U.S. Citizen Is Clueless Regarding the Desperate Shape the Country Is In! Are You? So says Monty Pelerin (www.economicnoise.com) in edited excerpts from his original article entitled Approaching The Terminal Point. Lorimer Wilson, editor of www.FinancialArticleSummariesToday.com (A site for sore eyes and inquisitive minds) and www.munKNEE.com (Your Key to Making Money! ), has edited the article below for length and clarity – see Editor’s Note at the bottom of the page. This paragraph must be included in any article re-posting to avoid copyright infringement. Under normal conditions politicians always raise the debt limit. After going through a political dance, they will do what they always do. Whether they actually comply with spending restrictions is another issue. Compounding the so-called fiscal cliff issue is the tenuous condition of the country’s finances. The fiscal cliff will not kill the country although the country is dying. Markets, at their choosing, will determine when they have had enough and terminate the charade. …especially if the election is close. Imagine the Bush-Gore fiasco in Florida spread across multiple states. That could paralyze politics to the point that Congress is unable to act in their typically efficient manner (a joke for those not paying attention), requiring cutbacks in government services. Even under this condition, it is nearly certain that Congress will ensure spending continues. After all, that is what they live for, and neither party wants to be responsible for Social Security checks not going out. the central bankers, market manipulators, market controllers and crooked politicians jockey for control while destroying their opponents. The fiscal cliff and the political games will create a furor if they occur, but they are not terminal events. They are side issues to the real problems, symptoms of deeper and more malignant diseases. Traditional media does not cover these, possibly because they don’t understand their importance. Hence, the average citizen is clueless regarding the desperate shape the country is in. many of these “voters” don’t even care who dies in a war as long “their” side is the winner and retains the ultimate power. Desire is for bread and entertainment today. Who cares about tomorrow? The corrosive nature of politics and government has destroyed the economy and the moral fiber of citizens. These issues are not insurmountable, but they are very close to being so. Their ramifications are potentially existential in nature: the average length of life, the very time span or cycle of a nation has been proven in history to be approximately 250 years. Since the USA was born in 1776 this says we have about 14 years of life remaining for America. The way things are going we don’t doubt it. At this point only the ignorant are not scared. Most businesses and investors know that things are awry. They may not understand the existential nature of the problem, but they are unwilling to take risks. That is why our economy languishes and every government intervention makes the problem worse rather than better. We live in interesting, and perhaps apocalyptic, times. 3. This Is What “Falling Off The Fiscal Cliff” Really Means – and It is DIRE! 4. It’s in Your Own Best Interest to Learn Just How Bad America’s Debt Problem Is – So Read On! America is quickly approaching a catastrophic economic collapse. Before you dismiss this as hype or paranoia, take a few minutes to review the facts … The numbers don’t lie. 5. Is TEOTWAWKI Imminent – Or Will It Be Deferred? 14. An Inflation Inferno is Expected – but When? 16. 2012: More Money-printing Leading to Accelerating Inflation, Rising Interest Rates & Then U.S. Debt Crisis! Got Gold? 20. The U.S. Debt Spiral: When Will it End? More Importantly, HOW Will it End? 22. Martin Weiss: You Are Being Forewarned – Again – About an Imminent Financial Megashock! 24. 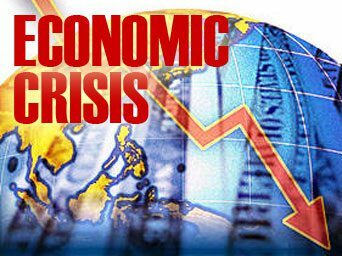 The “Great Crisis” Is Well On Its Way and Will Make 2008 Look Like a Joke!